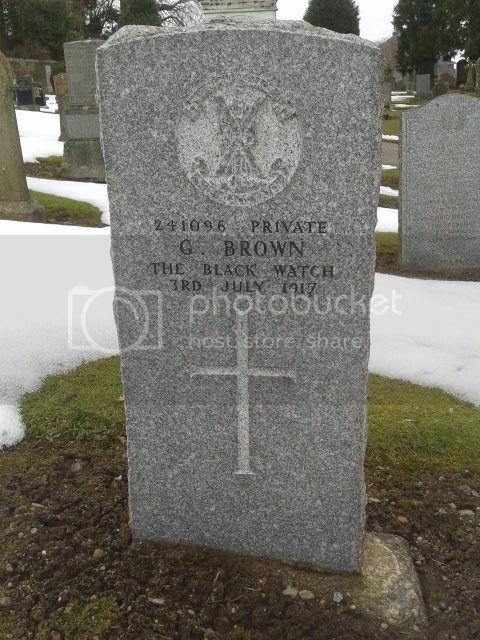 Additional Information:Son of William and Isabella Lowson Adamson, of Forfar. 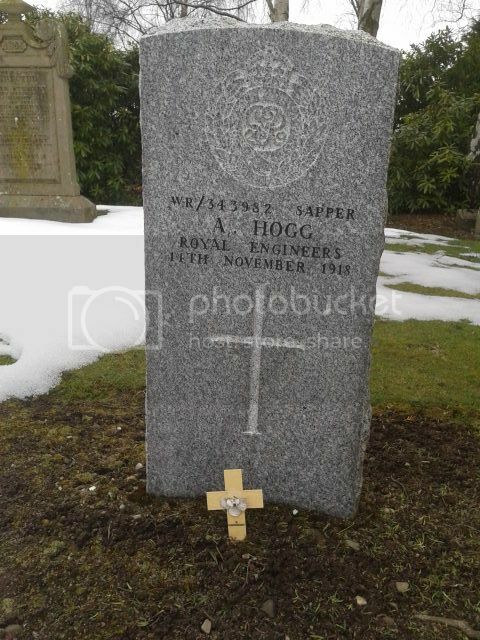 Regiment/Service:Black Watch (Royal Highlanders) 5th Bn. Grave Reference:Compt. L. Sq. 9. Grave 1. Additional Information:Son of James and Davina Carroll, of Forfar. 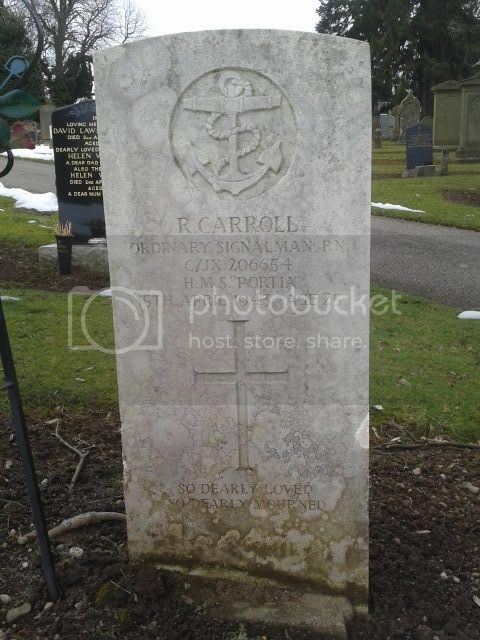 Regiment/Service:Royal Artillery 1 Maritime Regt. 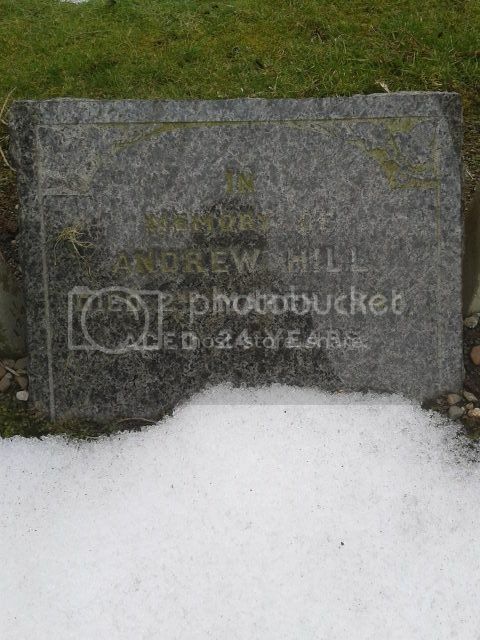 Additional Information:Son of Annie Ross, of Forfar. Grave Reference:Compt. U. Sq. O. Grave 213. Regiment/Service:Royal Air Force Volunteer Reserve 268 Sqdn. Grave Reference:Compt. T. Sq. 56. Grave 3. Additional Information:Son of Dickson and Annie C. Fraser, of Port of Spain, Trinidad. Regiment/Service:Royal Air Force 118th Sqdn. 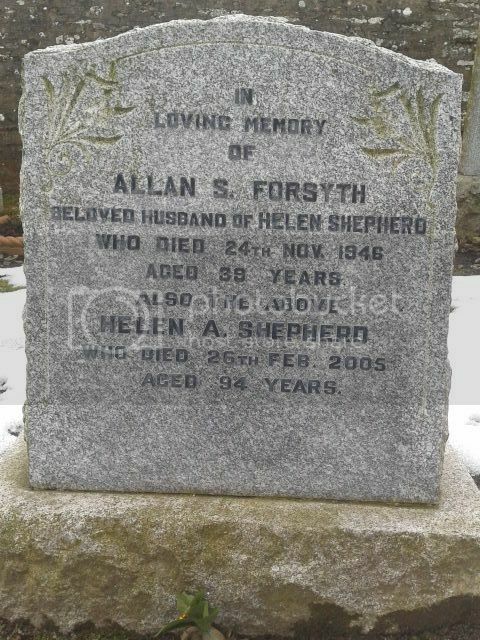 Additional Information:Husband of Mary Gordon Gibson, of 4, Market St., Forfar. Grave Reference:Compt. U. Sq. 56. Grave 217-218. 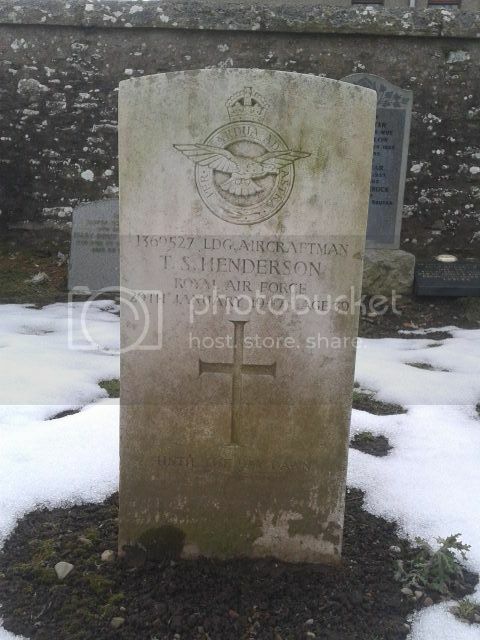 Additional Information:Son of James S. Henderson and Georgina Henderson, of Kirkcaldy, Fife; husband of Agnes Forrest Henderson, of Kirkcaldy. Grave Reference:Compt. H. Sq. 129. Grave 1. 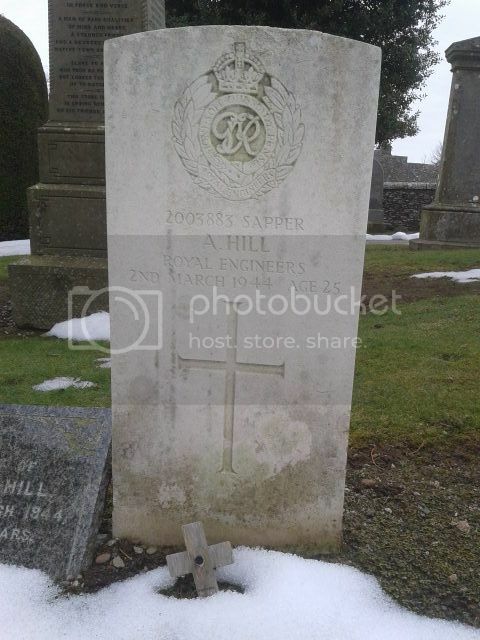 Additional Information:Son of James S. Hill, and Williamina H. Hill, of Forfar. 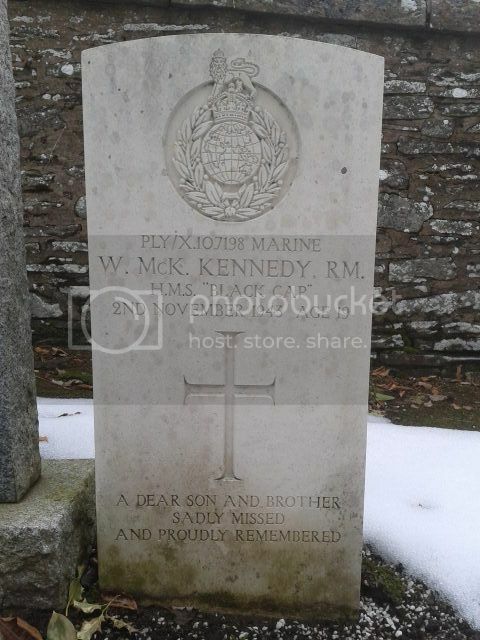 Regiment/Service:Royal Marines H.M.S. Black Cap. Grave Reference:Compt. U. Sq. 56. Grave 40. 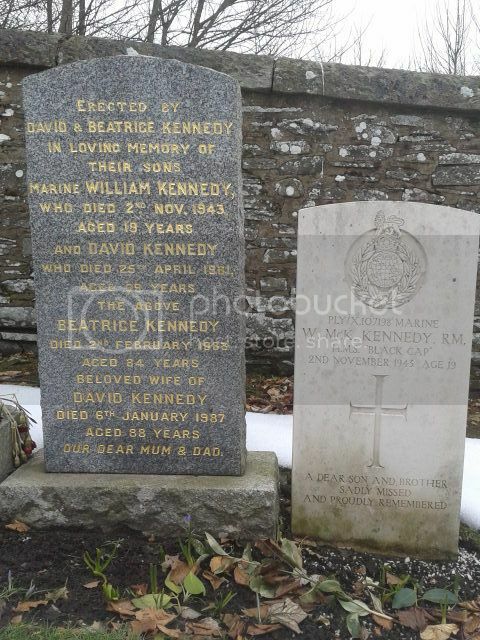 Additional Information:Son of David and Beatrice Kennedy, of Forfar. Regiment/Service:Reconnaissance Corps, R.A.C., 3rd (8th Bn. The Royal Northumberland Fusiliers) Regt. Grave Reference:Compt. U. Sq. O. Grave 260. 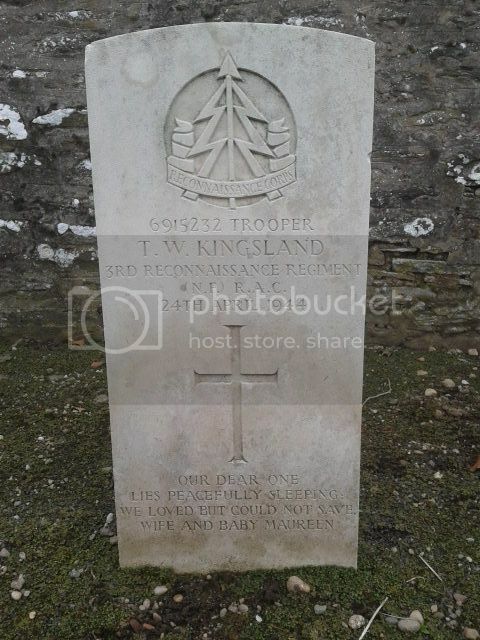 Additional Information:Husband of Rosa May Kingsland, of Edmonton, Middlesex. Regiment/Service:Royal Air Force Volunteer Reserve 42 Sqdn. Grave Reference:Compt. B. Sq. 2. Grave 35. 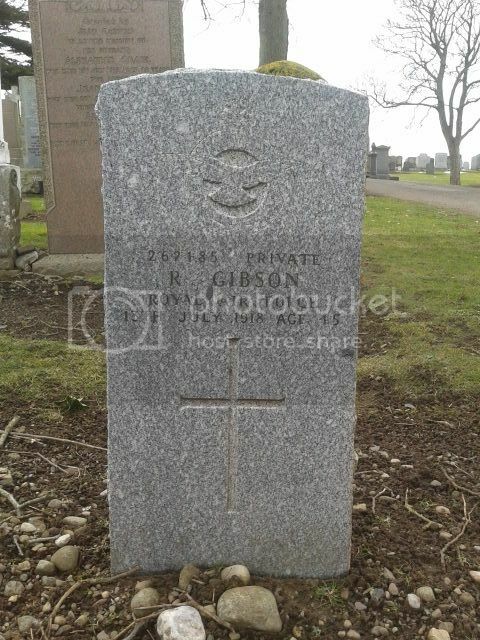 Additional Information:Son of Mr. and Mrs. D. G. Liveston, of Lunanhead.